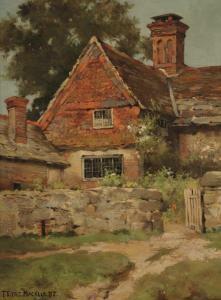 Find artworks, auction results, sale prices and pictures of Thomas Eyre Macklin at auctions worldwide. 109 x 84cms; 43 x 33cms, together with a sepia photograph of thesame subject, both unframed. 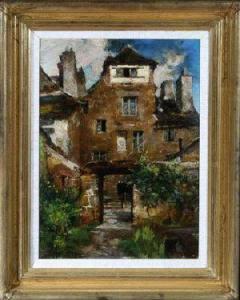 "A house in Tréguier, Brittany, birthplace of Ernest Renan"
Signed and dated Oct 1896 and inscribed "Sketch on the spot" with signature, title and date on the reverse. 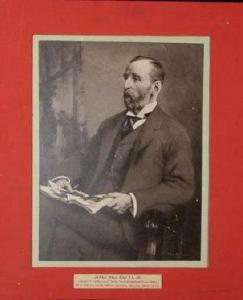 NB: Ernest Renan (1823-1892) was a French philosopher and writer, deeply attached to his native Provence of Brittany. He is best known for his influential historical works on early Christianity and his political theories. The house is now a museum dedicated to his life and work. Anonymous sale, Sotheby's Arcade, New York, 9 January 1997,lot256. 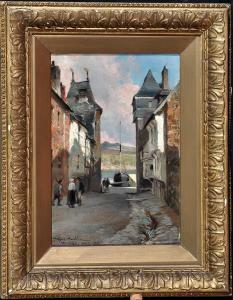 Thomas Eyre Macklin, RBA (1867-1943) "Treguier, Brittany", signed, inscribed and dated Octr. 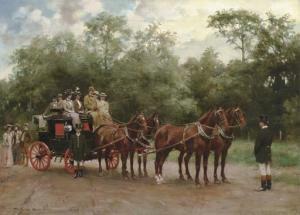 1896, oil on board, 31.5 x 21cms; 12 1/4 x 8 1/4in.